Learn how to showcase your best work online & sell more images! 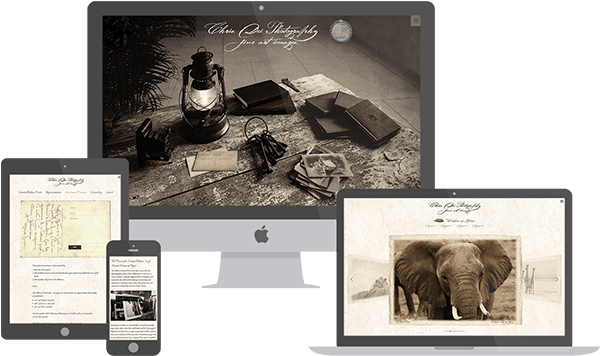 Differentiate your website from the world of photo hobbyists with my honest web-design services and in-depth articles & resources. Having worked with hundreds of photographers across the world, I can help you take your online presence to the next level. "Alex is a really solid designer that I have the opportunity to work & collaborate with on a regular basis. Specialized in tweaking photographer websites, he has a great understanding of WordPress, is fast, reliable, fair and communicative. Really impressed by how fast he works btw." 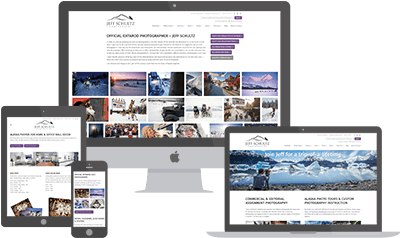 "If you are a photographer and looking for help in building a killer, responsive website - look no further! The best here! Alex is a custom website builder that understands photographers. And nice job on this newsletter - so much interesting content, it got my head spinning." "Alex is one of the nicest guys and an absolute whiz when it comes to IT. There is a ton of information Alex shares that can be immediately implemented to improve the effectiveness of your website with some simple changes. It's worthwhile subscribing to his email updates - always full of great info. "Thanks for continuing to help us photographers understand website design and development. Solid advice! Looking for a PRO for your web design needs? Check this guy out." "If you wanna see a guy that's at the cutting edge of building websites for photographers, he is it. And he's got some great content on his website as well." Check out the Articles section to start you web‑design education. I'm constantly adding new articles and Q&As. You'll see I like to write actionable, in‑depth content. No fluff. Subscribe to the ForegroundWeb email newsletter to get new actionable articles delivered to your inbox, and to access all the free exclusive downloads for photographers. Need help with your photo website? With many years of experience in this specific niche, I offer a full range of web‑design & consulting services for aspiring & pro photographers. Sometimes, photographers ignore or misinterpret web-design best practices because of looking at it from the wrong perspective. A shift in mindset might be the exact thing you need right now. My aim instead is to give you CLARITY. What do you do? What makes you unique as a photographer? Understanding answers to those questions in a very nuanced way is incredibly valuable to the long-term success of your photography business. And having a clear "unique selling proposition" (USP) can help you build a focused and attractive website. Organizing your content is a highly important process and should come before any design and technical considerations, before SEO. Don't let your site theme/template dictate how you structure your website. You need to decide that first, and then customize the site to meet your needs. Sadly just an afterthought for some photographers, the navigation menu is critical for the effectiveness of a photo website. Even though it takes up just a few pixels, it can truly make or break the site. These are all-important recommendations for building a clear & effective navigation menu, with examples along the way. 50 (yes, fifty) detailed SEO tips (all with examples & resources) for building a photo website that both users & Google will love! You will be learning SEO basics and more advanced tactics, how to avoid common SEO mistakes, how to increase conversion rates & promote your photography website online. Get noticed & sell more work with my affordable and effective design & development services. I'll help you build or improve your online photography presence, regardless if you're an amateur photographer just starting out, or a large photo agency looking to better target your audience. Anything from full website redesigns to small theme tweaks & SEO reviews. I love exploring creative & technical solutions for your photography website, focusing on honest collaboration, clarity and getting results for your business. I value simplicity and I enjoy working with passionate photographers. Understanding the big picture and paying attention to small details are both critical, I try to practice them in my work every day. ForegroundWeb is your go-to place to learn how to improve your photography website and branding, with new articles & resources added regularly. Hope you'll enjoy the content and that you'll put it to good use! I'm Alex, ex-photographer turned web-designer, working exclusively on photography websites. Read my full story and don't hesitate to send me a message if you'd like to say "Hi".